I think I should get some kind of reward for sitting through Zombie Lake because to say this movie is bad would be a major under statement. I could be taken hostage by terrorists and tortured for hours upon hours and I would laugh in their faces and say this is nothing I sat through Zombie Lake! I think if you wanna get answers from criminals or terrorists simply put them in a room play Zombie Lake and within minutes they would be talking. However with all that said the film is just downright hysterical; I was in complete awe at how bad this film was that I don’t think words can fully describe it. The really scary thing is I think I would actually be open to watching it again perhaps even adding it to my collection. When a film is such a hack job like Zombie Lake its quite difficult to fully hate the film. 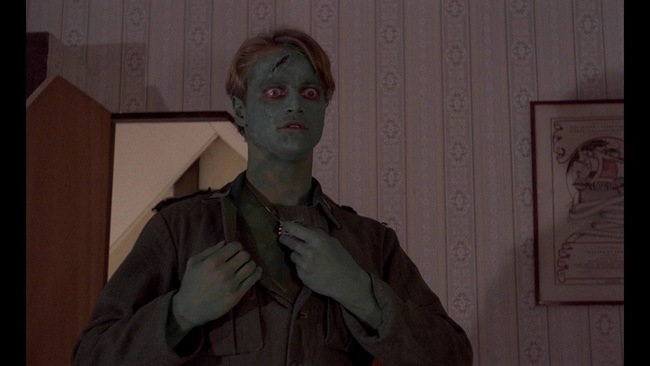 And make no mistake Zombie Lake is a hack job and easily one of the worst films you can ever sit through, but despite how bad the movie was it still provides plenty of laughs in how truly awful it was. 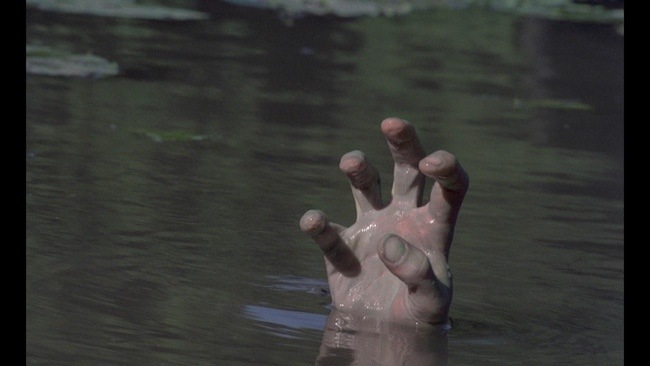 Released in 1981 Zombie Lake came out during a time when it seemed every horror flick was either a slasher or zombie movie. And while the slasher film had an edge zombies weren’t too far behind and whenever something in the horror genre is a success everybody gets in on it, which after a while leads us to some truly horrible films. Zombie Lake is truly bottom of the barrel cinema and I can’t even fully begin to explain what a hack job this was from the writing, directing, music, F/X and the acting and its no surprise that so many involved used an alias or denied being involved with the film since I would as well, but with that said only in the horror genre can a film be this terrible, but yet fun as well. If anything I think this film was made just to have women get naked. The film opens with a woman getting fully naked and going for a swim in the lake and you see everything and I mean everything! 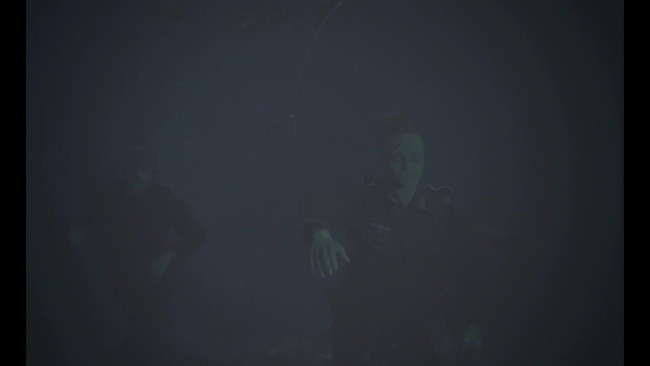 When she’s under water her legs spread a part yeah you get the picture. Later in the film a bunch of girls go swimming and again you see everything including yes again their naughty part. I have zero complaints, but I am sure the 12-year old in would have rated this a 5 simply for that (the 30 something in me wants to rate it higher due to that). While the film doesn’t really go for sleaze, but due to these shots it does get a bit sleazy. While I don’t need to see this in a film I do miss the days when filmmakers weren’t afraid to show everything. 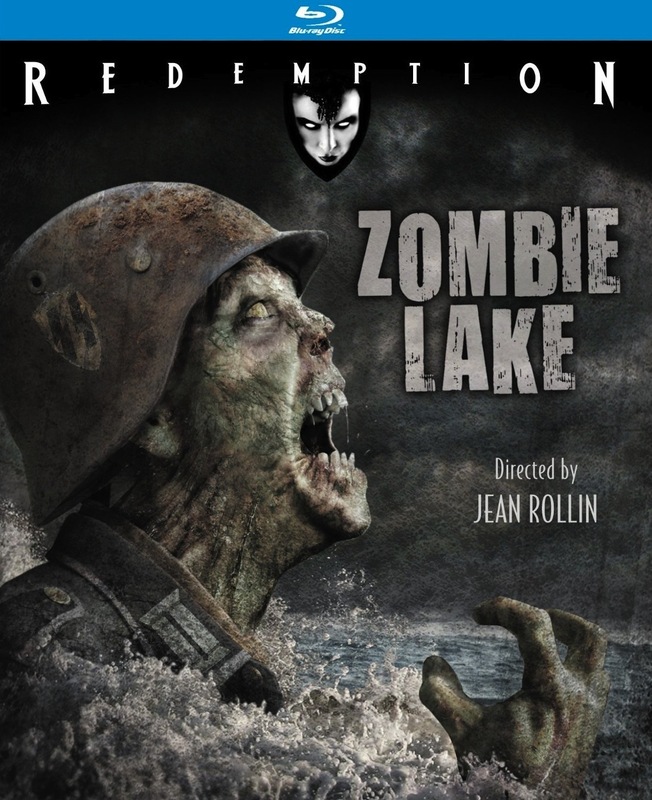 The film is set in France during the 50s (while my knowledge of 1950s France is quite low I doubt it looked like this), but there is a lake where Nazi soldiers were killed and dumped into the lake, but of course they come back as zombies and kill anyone nearby. The screenplay was written by Julian Esteban under the name Julius Valery and Jesus Franco under the name A.L. Mariaux. To say their script is horrible is putting it very mildly. This has to rate as one of the dumbest screenplays ever written and its quite amazing how two people could actually write this. All the characters are complete idiots and everything is just well horrible. There are also long stretches without any dialogue and I’m not so sure that’s a bad thing! However in between all idiocy and terrible dialogue there is actually some decent ideas if you can believe that. 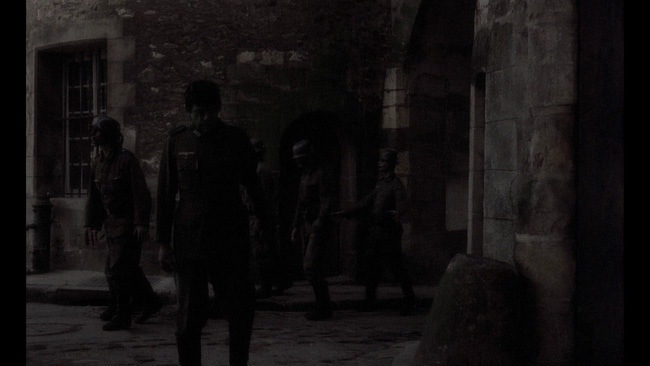 The script also takes place during WWII and we have a love story between a German solider and French woman and they have a child. 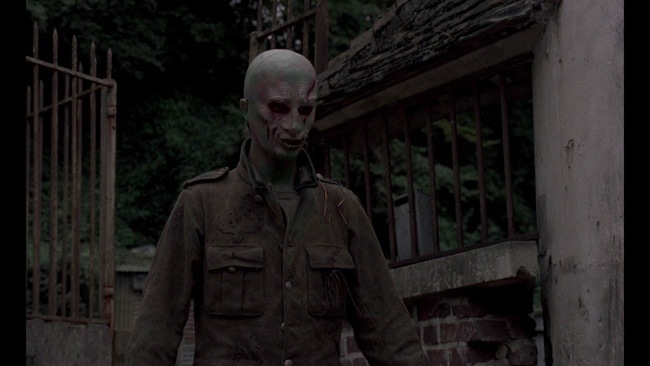 This one solider zombie is even more evolved than others and seems to retain some memories and he even tries to protect a little girl that has some kind of connection to a woman from his past. We later find out the little girl is actually his daughter. But you even have evolved zombie fight another zombie. Actually this really wasn’t a bad idea, but the film is such a hack job rather than be deep and dramatic its laughable and like I have said before unless you’re George A. Romero keep your zombies mindless since it always fails with the smart zombies. Only Romero can pull that off and even Romero out times can sort of miss with that. The script is downright pathetic and I have to assume Esteban and Franco knew exactly what they were writing. Originally the film was also to be directed by Jesus Franco and for some reason he ended up not making it and in his place came Jean Rollin who than apparently regretted it after reading the script and for many years denied having anything to do with the film. Rollin used the alias J.A. Laser. I know of Jean Rollin or should I say J.A. Laser, but I haven’t seen a lot of his work and what I have seen its been many years. The direction by Rollin is horrible to say the least. I think its clear he had no passion for the film as he knew no filmmaker could salvage this mess of a script and he never really tries and it seems the scenes with the women naked are the only times any effort was put it. The film is a bit sloppy in its pacing as at times the film is so bad its almost unwatchable and other moments its such a hack job its a lot of fun. 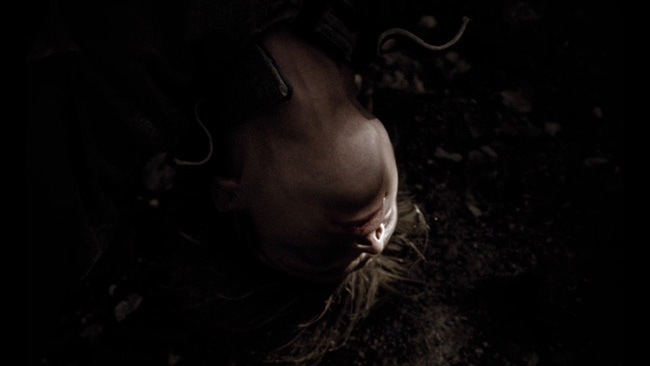 The death scenes are the same for the most part and quite often hysterical. When some of the characters die the acting is so bad its some of the funniest scenes you’ll ever see. Jean Rollin crafts one of the worst films ever made, but like I said when a film is this much of a hack job its really difficult to fully hate. How about the F/X? The zombie makeup is so cheap looking it looks as if green paint was applied and to be totally honest anybody could get the same results if they tried. The zombies look like skinny versions of the Incredible Hulk! I was at times in awe at how bad Zombie Lake was; the reviews you may have read are legit. However unlike many other others I had fun with this. There are moments when the film is just plain bad and not in a fun way, but its such a hack job I can’t help, but have a soft spot for it. 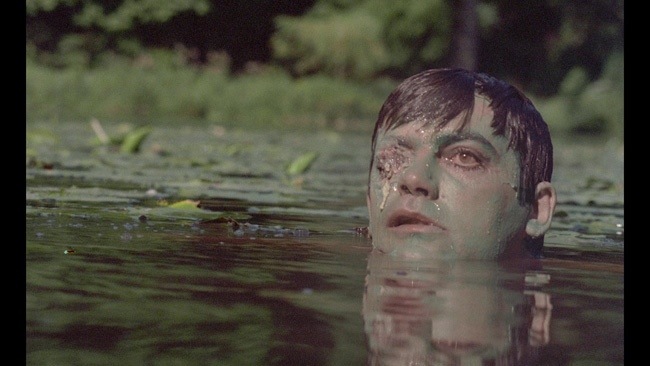 Zombie Lake easily goes down as one of the worst films ever made, but if you can sit back and relax and poke fun of the movie you might find yourself entertained at times.